You may have heard from your doctor that before your tooth can be treated with a dental restoration that an additional procedure is required called “clinical crown lengthening”. Crown lengthening is an in-office procedure usually done by a specialist – in most cases by a periodontist. But what is crown lengthening? We can think of the tooth as being divided into the ‘crown’ or that portion of the tooth that is seen above the gum line, and the root, which is the portion of the tooth (not seen-except on x-rays) below the gums. The crown lengthening procedure is done to elongate the crown portion of the tooth by adjusting the position of surrounding gum tissue and bone. There are three fundamental reasons why the crown lengthening procedure may be necessary and when it is, it should always be done in order to achieve a quality result and a long-lasting benefit for the tooth and surrounding health of the gums. The first reason to crown lengthen a tooth is that there is simply not enough clinical crown remaining to restore the tooth. 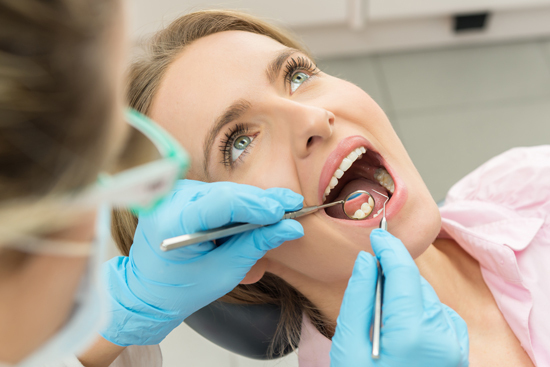 This may come about after a tooth cracks or fractures below the gum line, or if an old crown breaks off and there is insufficient tooth structure remaining for a new restoration. 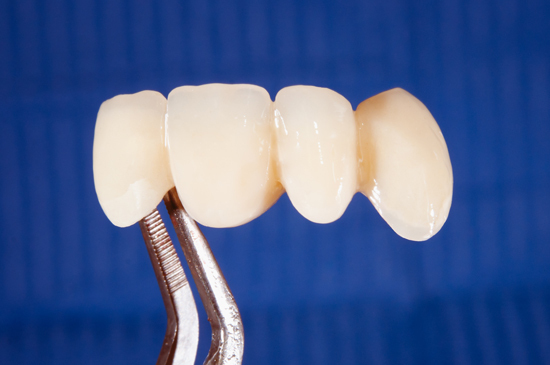 During crown lengthening, the gums and bone are adjusted to achieve more tooth surface to work with and restoration of the tooth can be done predictably with long-term success. The second reason for crown lengthening is to create access if tooth decay is present below the gum line. Tooth decay sometimes forms on the root of the tooth or around an existing restoration, filling or crown and extends below the gum line. To successfully remove all the decay and re-establish a healthy restoration margin, crown lengthening is indicated. The dentist needs access to the tooth decay and needs visibility in order to predictably clean the cavity and re-establish a new margin for the filling or crown. The third and main reason to lengthen a tooth’s crown has to do with biology. Every dentist learns in dental school to avoid invading the so-called “biologic width” or that space between the gum margin and the crest of the jaw bone. On average the normal distance between the gums and the bone that holds the tooth in place is 1-3 mm. In this biologic width, the connective tissue and epithelial attachment and periodontal ligament attach the tooth root to the boney tooth socket. Scientific studies show that those 2 millimeters or so of tissue needs to be respected and avoided when preparing a tooth for a dental restoration. The body simply won’t tolerate an artificial substance such as a dental restoration within this biologic width. When this rule of biology is violated, the long-term health of the tooth and surrounding gums is compromised. The result is that our body rejects this problematic area by developing chronic inflammation, gum bleeding, and discomfort as well as possible gum recession. The only way to correct this issue later is to re-establish the correct biological width by repositioning gums by clinical crown lengthening to assure the long-term success of the tooth. Not even the dentist can fool mother nature! A periodontist examines the surface of a patient’s crowns near the gum line to determine the necessity of a crown lengthening procedure. Sadly, many dentists do not bother with crown lengthening for various reasons and manage somehow to restore the tooth below the gum line while the patient suffers the long-term adverse consequences. So, it may seem odd that the dentist orders a dental surgery before a restorative procedure such as a filling, dental crown or onlay. But when needed, the crown lengthening procedure is a safe and effective way to give your tooth the biologic width your body needs and to have a quality, lasting and healthy dental restoration. At PreserveYourTeeth – Dentistry as we treat teeth and gums together with close collaboration in both professions – general dentistry and periodontics to achieve harmony and long-term success. Consider a clinical crown lengthening at our practice if you feel that other methods of dental restoration have not been effective.